As the camera technology improves in our smartphones, it, in turn, brings innovations to the consumer apps, sometimes in the form of Face Swap apps. 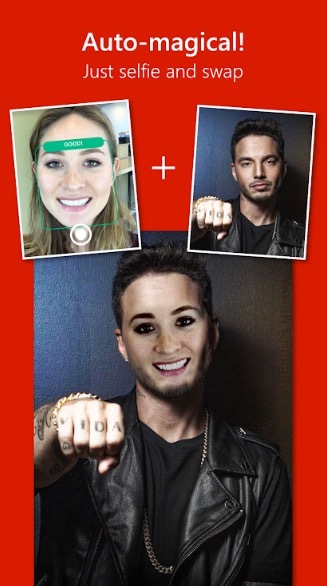 For those who don’t what it’s, well, Face Swap apps lets you switch faces with a friend or a photo in real-time. The image produced is sometimes hilarious and sometimes surreal. Let’s check out some of the best face swap app for Android and iOS. 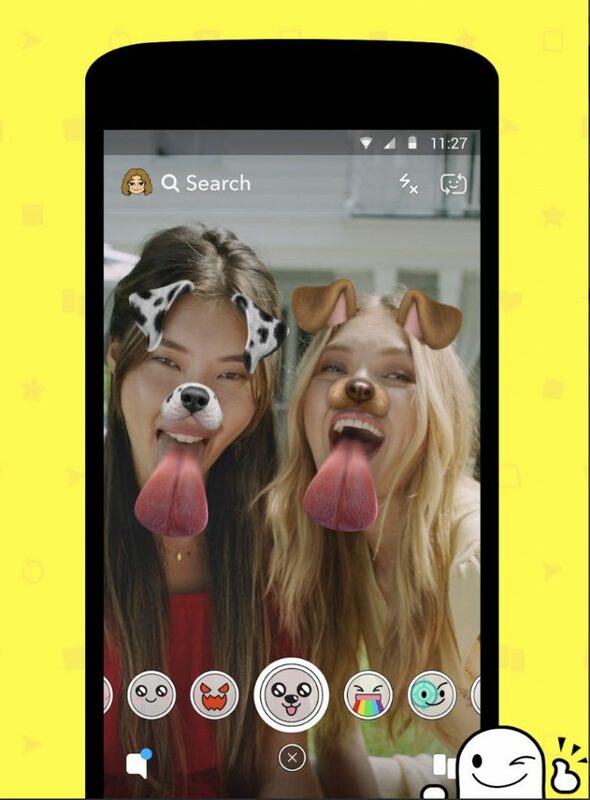 Snapchat is the most popular app that offers face swap with someone else in your photo or video, or even from your camera roll. Simply, launch the app and switch to front-facing camera, next tap on your face until you see white mesh lines over your face. That’s Snapchat analyzing your face. Now, swipe left until you find the face swap option and now you can swap your face with anyone in real time or even from the photo library of your phone. To save the image, tap the circle at the bottom with the face swap icon. 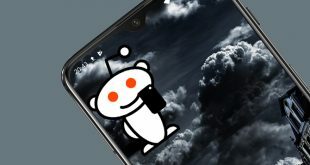 Some people have complained about the laggy performance of the app on Android phones. So, if your are not using Snapchat already, there is no need to install it, just for its Face Swap features. There are so many apps out there which offer these features as standalone apps. Cupace is another fun little app that offers face swap. Unlike Snapchat, Cupace lets can manually extract faces from an image and then paste it into other pictures. It has a three-step process – cut a face, choose an image, and paste the face on to the image. The face cutting tool offers magnified view so that you don’t miss a part of your ear in the cutout. After the crop, the faces are saved in the app and you can begin pasting those cutouts on other people’s faces. Adjusting the face to fit is easy and you can pinch to zoom in and out of the face but sadly you can’t zoom in the background image. You can share your pictures with friends on social media directly from the app. Overall the app works okay but it lacks auto face detection feature which would have been great. Unlike all the other apps we have seen so far, that lets you swap faces with other people or pictures from your camera roll; Face Swap by Microsoft, lets you swap your face on almost anything. Yes, pretty much anything. Take a new picture, fine tune it a little, then use keywords to find an image from the Internet where you can replace the face with yours. It can be a celebrity, an animal, an astronaut or even a wall. For example, if I want to feel like Brad Pitt, I can just search for his image from the Internet and paste my face with this app. It automatically adjusts the skin tone and the texture to the surroundings. If it doesn’t align properly, I can rotate and expand my face to fit his frame, sounds simple enough? However, this becomes a little complicated when you bring licensing into the picture. You may not be able to use all the images that show up in the app on your social media. The app is well built and the face swap though automatic isn’t perfect for every picture, thankfully you can always manually align the pictures to fit the different frame sizes. It would have been nicer if it had an option to record videos. This next app, Photomontage Collage is a simple photo editor which lets you create good quality Photo swap images. It is not autonomous and does require a manual process. You can remove a face from an existing image and put your face there instead. It has two modes Wizard and expert which is basically an easy and a pro mode respectively. To create a Face Swap, Upload an image in the Expert tab and remove the face using the rubber tool. Insert another image and crop just the face, move the image behind the original image to just show the face. Adjust the area by pinching and zooming. That’s how you face swap in a few easy steps. It is great for creating good quality face swaps where you don’t have to worry about any errors made by the algorithms during real-time face swaps. Face app is one of the most popular apps in the list. While it doesn’t have a face swap feature, it does offer other features that none of the above apps do. You start with taking a neutral picture of yourself, next you can make yourself smile, look older or young, change your gender, change your hair color and even see yourself with glasses. 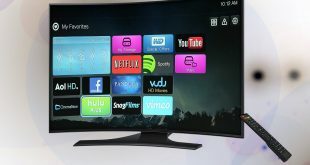 However, some features are locked and available in the pro version only. Judging by the free filters, I would recommend this app to everyone who is looking for a good face swap app. The app has no ads and offers in-app purchases. Face Swap unlike its name does much more than simple Face Swapping. It is a full-fledged image editor with plenty of features and filters. You can do some basic image editing like add sticker, text, crop, adjust, color correction, etc. 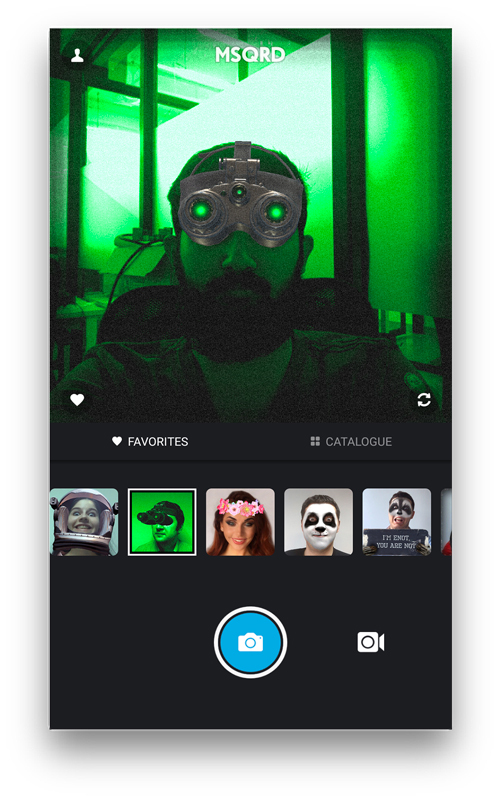 Although the real-time masks are supported, you can also manipulate images from the gallery and swap multiple faces in a photo. Clone face is an interesting feature which clones a face to multiple people in the picture which produces hilarious results. Just like Previous apps photo booth feature, this app has an option called cosplay, which essentially is the same feature but offers fewer options. 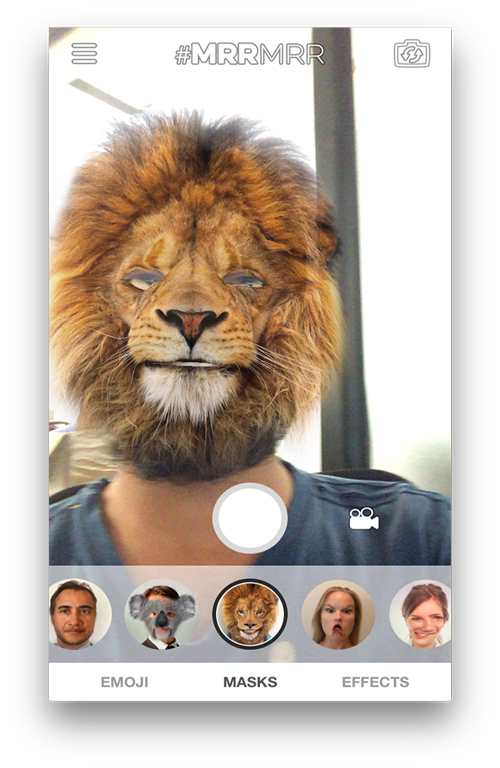 Later acquired by Facebook, MSQRD (pronounced Masquerade) was the Facebook answer to Snapchat’s Face swapping feature. Unlike the other apps on the list that only lets you play with your picture, MSQRD, on the other hand, is a video selfie app. Once you start the app, you get two options – you can either take a selfie or record a 30-sec video. Next swipe between various video effects, the app can apply effects to videos in real-time. Once you find what you were looking for, start the video recording. The app records both the audio and video. After 45 sec, the recording will stop and you have the option to share it on Facebook, Instagram, WhatsApp or even export the video file Overall the app looks decent and it has no ads. I like the fact that Facebook has kept the Facebook login option and allow video sharing outside Facebook-owned social media as well. Yeah, that’s not a typo, its the actual name of the app, this app has many cool filters though. 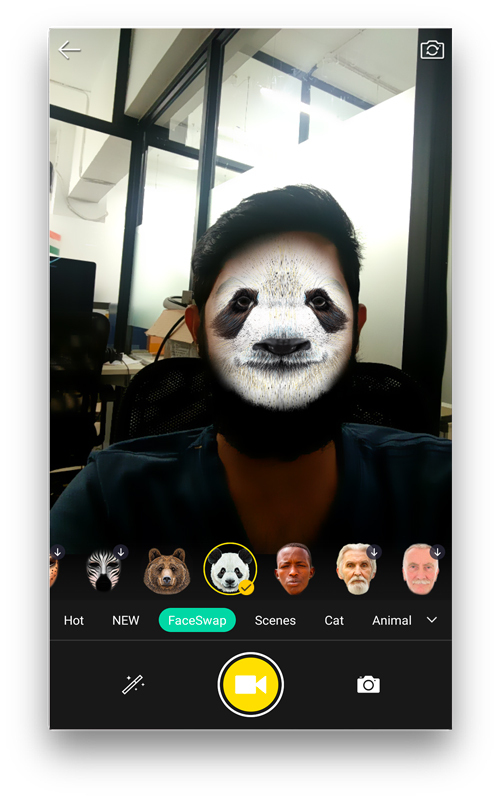 Mrrmrr is a face app that is powered by DeepAR, it also offers real-time filters and masks. The app has 4 categories emoji, masks, filters, and effects. Emoji doesn’t have many variations but three. You can be an animated emoji, Donald Trump or Kanye West with this app. Thanks to its real-time face tracking algorithm. It captures your facial movements and applies it on to the emoji to create an interactive emoji. The masks offer some of the unique varieties like rainbow drool, sunburn, cat ears, goth, anime, soda cap, etc. You can either take a picture or a video with the masks on. 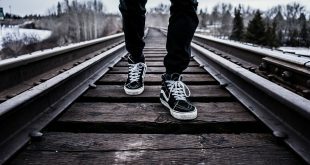 Sharing the pictures is very easy, after every capture, it shows you a preview of the image and a few social media share buttons like Facebook, Instagram, twitter, etc. Or you can directly save the picture to the photos folder for later. The Best Face Swap App? MSQRD and MRRMRR are best apps for real-time masks and filters with high accuracy. Face Changer 2 and Face App are good apps for their masks and Cupace requires manual editing skills. Tell us which apps do you like the best in the comments below. Next How to Find Out What DNS Server Am I Using?